We are so close to the official start of the 2019 season we can barely stand it, and in some parts of the country, players have already attended several tournaments and are well into the swing of things. 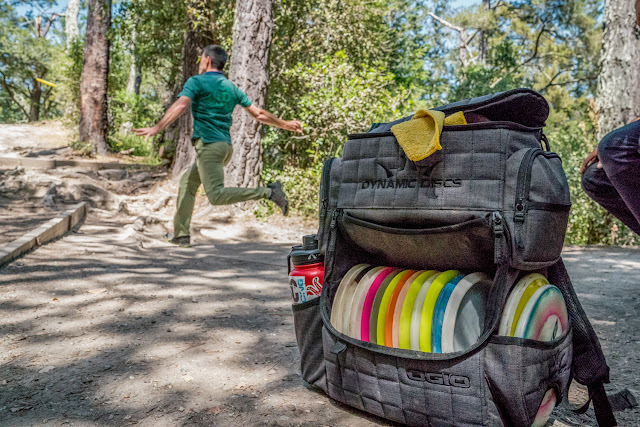 If you’re still taking some time to prepare for the coming year and want to get the most out of your days as possible, you may be considering the discs in your bag. It doesn’t matter if you had a great year and are in love with each and every piece of plastic or if you’re ready to give your entire bag away and start over - taking the time to critically evaluate your discs will put you in the best position possible for a great season. Sometimes we purchase a new disc and have nothing but big dreams for her. Maybe you just know that you’ll throw your farthest drive yet or you can finally dial in your circle 2 putting, but whatever the case may be, you treat that mold like it’s a new baby. As time goes on, maybe that choice didn’t work out so well and you find yourself reaching for other options instead. It’s important to really examine if the problem is the disc or perhaps your expectations for it. Take all of your discs out of your bag and spend time evaluating if each one will really meet your needs. You might be surprised to learn that you had too many for one type of shot and not enough for another, or you could give another chance to a mold that you gave up on long ago. We know, it can be scary to try new things, but after you’ve addressed your current setup and decided where to make changes, there’s a good chance that you’ll need to buy a few new discs to round out your bag. While it’s an exciting idea, it can also be scary - what if you once again buy something that doesn’t work out? Is it a waste of time and money? Not with the Dynamic Discs Buyback Retailer Program, a system we’ve put in place to ensure you end up with the right discs for you. First, simply find a retailer near you that participates in the Buyback option then head over and shop to your heart’s content. Take your time really holding and feeling each disc, and once you’re ready, make your purchase. After giving the disc a good college try, you might decide that it just doesn’t meet your needs. Within 14 days of your purchase, bring it back with your receipt and select another disc instead. Now, you don’t have to wait until the offseason to go through your bag, purge what doesn’t work, and make a mad dash to fill in the gaps before your first tournament. We want your disc shopping experience to be just as enjoyable as your time on the course, so make sure to hang on to your receipts and give your discs a try before the 14 days is up! I do no mean to throw salt on this article. However, this is as much an advertisement for The Dynamic Disc Buyback Retailer Program as it is advice on how to prepare for a new season. If I were to give this a compliment I'd say the image looks awesome.